Rare Opportunity to be on the Training Field! This Spectacular Sunsplashed Penthouse has 14 Windows! Enjoy your easy access Private Deck with the most Amazing Skyline Views! A Superior Entertaining Floor plan! Lovely Formal Livingroom with a Gas Fireplace and raised panel wainscoting. Formal Diningroom with windows on 2 sides! Gleaming Hardwood floors throughout! Huge Gourmet Chef’s Kitchen with endless Granite Countertops, Stainless Steel Appliances, abundant Cabinetry and Breakfast bar! Enormous Master Bedroom Suite with 3 closets and an Oversized Lavish Spa Bath with air jetted soaking tub & separate Shower! Very Generous Second Bedroom now used as a Den! Guest Full Bath! 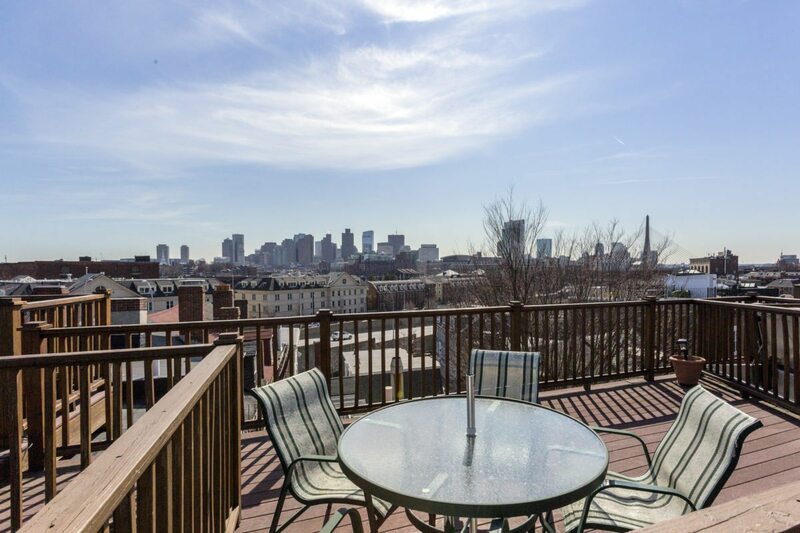 In addition to your Large Private Deck, enjoy the two tier common Roofdeck with Flawless Views of the Entire Boston Harbor, City Skyline & Bunker Hill Monument! Central Air, Full Sized Laundry in unit & great Private Storage room! A Wonderful Home in an absolutely Prime Location!